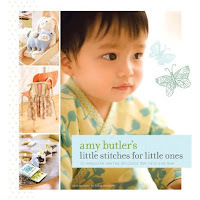 This morning I went into Fiberologie, this awesome new fabric shop in St. Pete, and there on a top shelf with a light shining on it like an angel's smile was Amy Butler's new book: Amy Butler's little stitches for little ones. I couldn't believe it, I had no idea she was working on a new book, let alone that it was for little ones. How is that for a sweet surprise!?! I'm only a little bummed that I didn't get to enjoy the anticipation of her latest bit of inspiration. I've flipped through it at least 3 times already. It's formatted really similarly to her In Stitches book, with the hard cover, spiral bound insides that lay flat when open, and the pocket for the sturdy paper patterns. 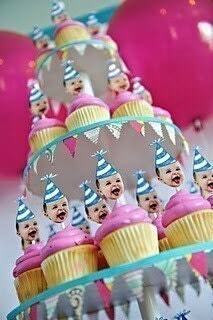 There are 20 super cute projects and some fabulous photography. Some of my favorites are the soft blocks, an adorable top/dress, and I can't wait to make the snuggie baby wrap! Mommies to boys will be happy to know that it's not all just girly girl things. There are cute accessories for the nursery, some fun stuff for Mom, and the kimono PJs (another of my favorites!) are gender neutral in style. There doesn't seem to be as many drawings to follow for us visual learners, but the text is really thorough. Amy has done it again!